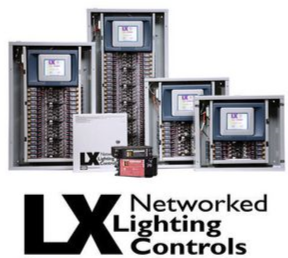 Take control of your entire building's lighting with the LX™ Networked Lighting Control System. The LX series is a network of expandable and modular relay panels, sensors and switches connected by a simple, two wire communication network. Expandable from a single floor to an entire building, the LX series includes an intuitive programming interface, touch-screen tablet and remote access via LAN and Internet.